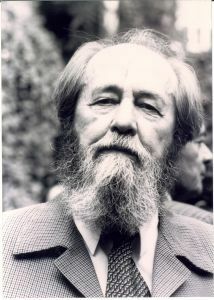 One of the most important Russian writers of the twentieth century, Solzhenitsyn gained worldwide renown for his novels on Soviet labour camps. In 1970 he was offered the Nobel Prize for Literature. His major novels include Cancer Ward, First Circle and Gulag Archipelago which finally led to his deportation from the Soviet Union in 1974. The film includes a rare interview with the writer.